Was under the console fixing a crack and I saw this. Does the clip look correct or should it be pushed on further? Looks fine to me! Where the 'curl' of the turn is, it's sitting right in the recess for it. Going from memory. It's not a clip. 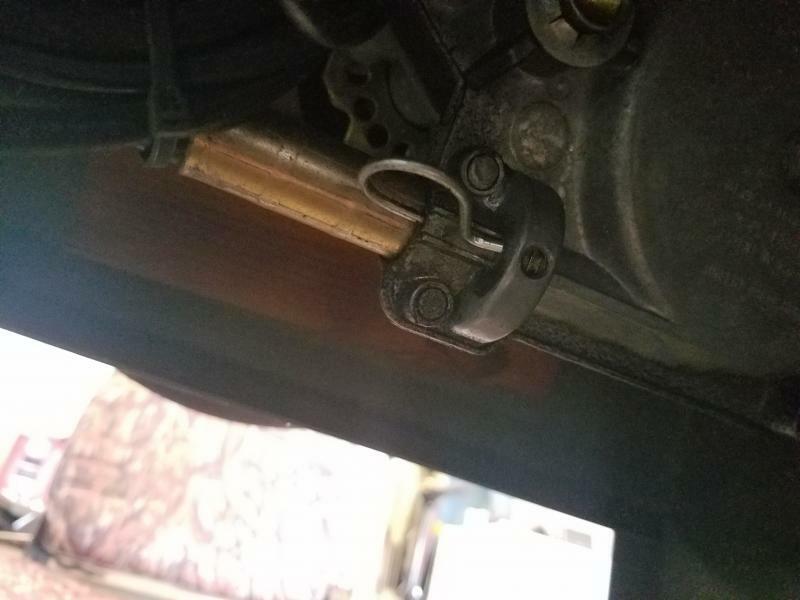 It's a push pin to release the steering cable. They have you shove it There for storage until you need to remove the cable then you push the end of the pin in a hole to release the cable. We learn sumthin new everyday.